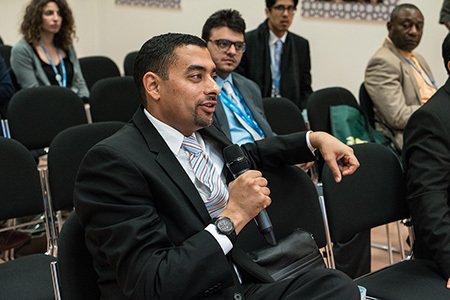 Amr Al Madani, K.A.CARE, responding to a participant during the side event on Renewable Energy Initiatives Through Economic Diversification. This session, moderated by Abdulaziz Al-Jodai, Saudi Arabia Basic Industries Corporation (SABIC) considered renewable energy developments across GCC states. 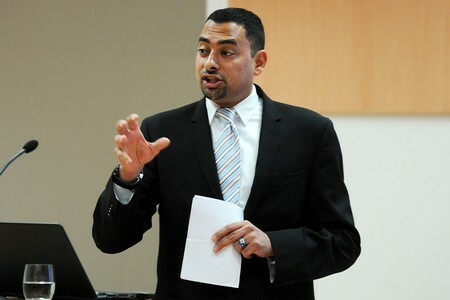 Ali Al Shafar, United Arab Emirates (UAE), spoke on national and international renewable energy initiatives of the UAE, underscoring national milestones such as the 2006 establishment of Masdar and their hosting of the International Renewable Energy Agency (IRENA) in 2009. He also highlighted US$840 million of development assistance for renewable energy in 28 countries. Hashim A. Al Sada, Qatar, described the development of a renewable energy atlas within Qatar, to source, measure, and examine the best potential areas. He outlined challenges to increasing the renewable share of the energy mix in Qatar and recommended, inter alia: revising tariffs; setting renewable energy regulation; and developing a comprehensive energy authority. Amr Al Madani, King Abdullah City for Atomic and Renewable Energy (K.A.CARE), presented on plans to make atomic and renewable energy an integral part of the energy mix to raise living standards and quality of life in Saudi Arabia. He explained that power needs are expected to triple by 2032, suggesting that an energy mix of photovoltaic, nuclear, geothermal, concentrated solar power, as well as more efficient use of hydrocarbons, could respond to this need. 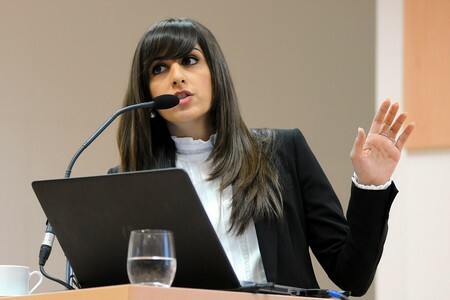 Nour Shihabuddin, Saudi Aramco, presented her company’s activities relating to renewable energy, aiming towards economic diversification and contributing to environmental stewardship. She outlined key focus areas: assessing and testing the available technologies; project development; localization; and market assessments. She highlighted several pilot projects, including a 35 KWp solar rooftop system that is expected to generate 60MWh a year, and save 900 MtCO2 over its lifetime. Paddy Padmanathan, ACWA Power, said the growing demand for electricity in Saudi Arabia, estimated at 85 GW by 2020 and 120 GW by 2030, was a good opportunity to begin introducing renewable energy into the fuel mix. He noted the benefits of investing in renewables, including: competitive pricing; excellent solar, wind, geothermal and municipal waste resources; and the creation of jobs. He outlined his country’s renewable energy portfolio, with 1,041 MW in operation, and over 3,000 MW expected in the coming years. Georgiy Stenchikov, King Abdullah University of Science and Technology (KAUST), presented on wind resources over the Arabian Peninsula, noting key advantages of wind power for Saudi Arabia, including: day and night operations, since wind is unaffected by light levels and dust; cost effectiveness compared to other renewable technologies; and spatial diversification. In discussions, participants considered, inter alia: market versus non-market pricing mechanisms; the profitability of renewable energy for the private sector; the effect of subsidies on pricing and profitability; and the positive and negative environmental impacts of developing solar energy. 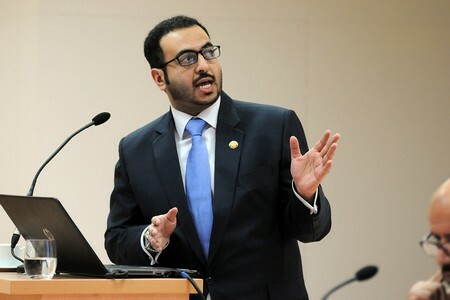 Nour Shihabuddin, Saudi Aramco, spoke on pilot projects, such as a wind energy project that will result in savings equivalent to 19,000 barrels of oil per year. 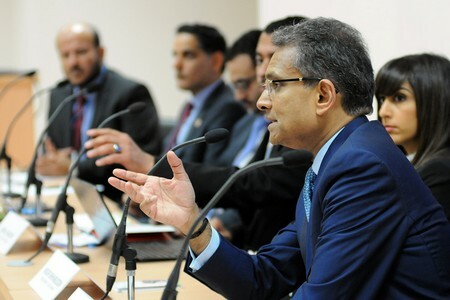 Amr Al Madani, K.A.CARE, said increasing renewable energy would help Saudi Arabia to cope with their expected economic, industrial and population growth. Hashim A. Al Sada, Qatar, spoke on renewable energy in the gulf region, noting the rising energy demand as a reason to bring renewables into the energy mix. Paddy Padmanathan, ACWA Power, suggested increasing fuel efficiency, combined with increased use of renewables, would contribute to reducing CO2 emissions. 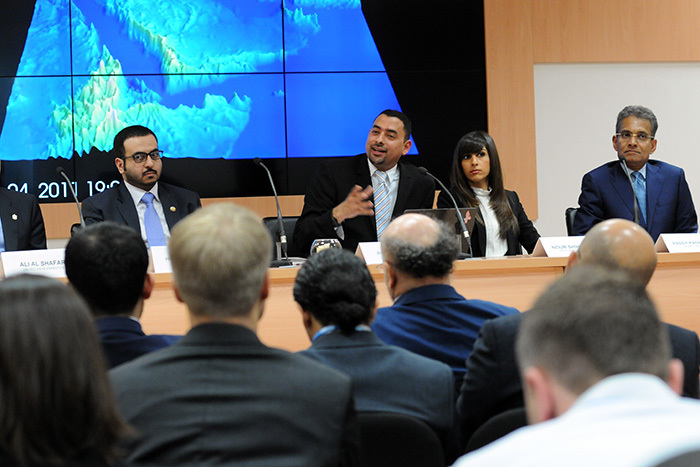 Panel (L-R): Moderator Abdulaziz Al-Jodai, SABIC; Ali Al Shafar, UAE; Hashim A. Al Sada, Qatar; Amr Al Madani, K.A.CARE; Nour Shihabuddin, Saudi Aramco; Paddy Padmanathan, ACWA; and Georgiy Stenchikov, KAUST. This event was introduced by Michael Rantil, Climate Technology Initiative (CTI) and moderated by Mark Redwood, IDRC. Announcing the launch of a new IDRC - Business for Social Responsibility (BSR) initiative to mobilize adaptation finance, Redwood underscored the need to understand where private finance for adaptation will come from and what lessons can be learned from mitigation finance. Edward Cameron, BSR, called for “thinking big” about adaptation, looking at issues such as human rights and access, and for a coalition of businesses across sectors and geographies to influence governments for climate resilient development. He also noted that businesses understand climate change as a risk management issue, rather than one of resilience, pointing to the need to translate science for business actors. Peter Storey, CTI-Private Finance Advisory Network (PFAN), explained that PFAN was created as a broker to push the project to the money and the money to the project, working first with mitigation, and now with adaptation. He underscored the role of capacity building and awareness raising, so that businesses understand the added value of what they do. Pointing to the disconnect between the innovation community and research users, Dominique Charron, IDRC, underscored the key role of the private sector in taking research to fruition, as well as the need to harness women’s potential for economic development. Participants then discussed, inter alia: political risks associated with adaptation finance; the distinction between adaptation and mitigation; and businesses’ understanding of adaptation. Closing the discussions, Redwood flagged a list of take-away points, including: science accessibility; avenues for changing business attitudes; getting support for start-ups; and the importance of policy being dependable and predictable, with a clear set of rules to allow investors to take on more risk. 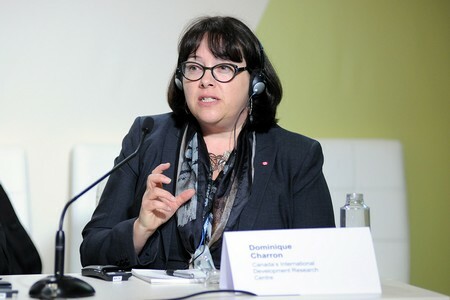 Dominique Charron, IDRC, emphasized the need to find “that happy risk place,” identifying risks that the private sector is happy to take. Ulf Moslener, Frankfurt School of Finance & Management, suggested looking at the matter of adaptation from an actor-based perspective. 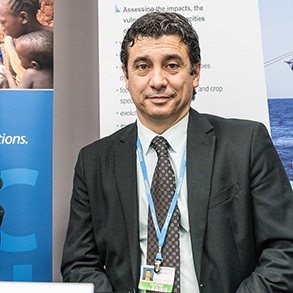 Mark Redwood, IDRC, announced a new IDRC–BSR initiative to mobilize adaptation finance. 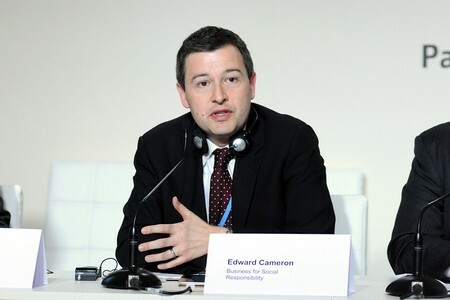 Edward Cameron, BSR advocated for guaranteeing access to sustainable development for all. Panel (L-R): Mark Redwood, IDRC; Edward Cameron, BSR; Ulf Moslener, Frankfurt School of Finance & Management; Peter Storey, CTI-PFAN; Martin Hiller, REEEP; Dominique Charron, IDRC. 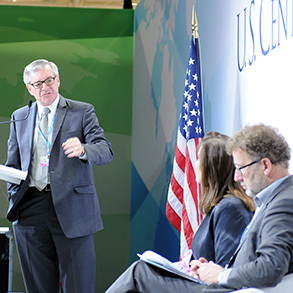 This side event, moderated by George Heartwell, Mayor of Grand Rapids, Michigan, addressed climate change efforts in selected cities. Heartwell noted that half the world’s population lives in cities, which are responsible for 70% of total GHG emissions, adding that cities are directly, immediately and often catastrophically affected by climate change. Maija Lukin, Councilwoman, City of Kotzebue, Alaska, offered an overview of climate change effects in Northwest Alaska. She explained Kotzebue is a gateway to the Arctic, and the main effects of climate change are on food security, coastal erosion and diminishing sea ice. 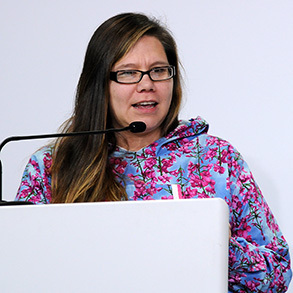 She underscored that while its emissions are very low, the region is among the first to experience the negative effects of climate change, and stated that, as an arctic nation, the Maniilaq Association cannot wait for funding or global agreements but need to take action immediately. 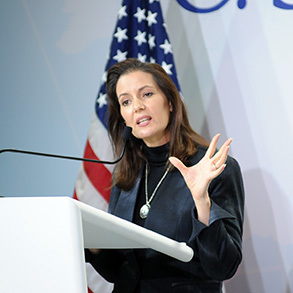 Libby Schaaf, Mayor of Oakland, California, noted that Oakland is an energy-conscious city, with 68% lower per capita emissions than the US average. She underscored the need for climate change policies to be comprehensive and include other goals, particularly socially equity goals. On specific policies utilized, she highlighted, inter alia: the zero waste contract; land use regulations; and use of electrical sources rather than diesel engines for ships stationed at the Oakland port. Jørgen Abildgaard, Executive Climate Project Director, Copenhagen, Denmark, highlighted the pathway that will make Copenhagen carbon neutral by 2025, noting that the plan is ambitious but realistic. He underscored commitment, collaboration, coordination and communication as key steps, noting that the city attracts 1000 new inhabitants each month. 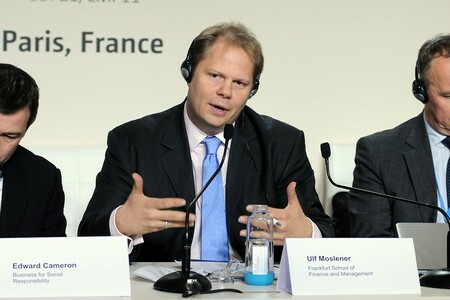 He focused, among others, on: bicycle infrastructure, as bicycles are used for 45% of all trips to work or study; district heating, which accounts for 98% of all heat consumption; renewable energy, which is expected to account for 100% of energy consumption by 2025; low energy class buildings; and electric vehicles. 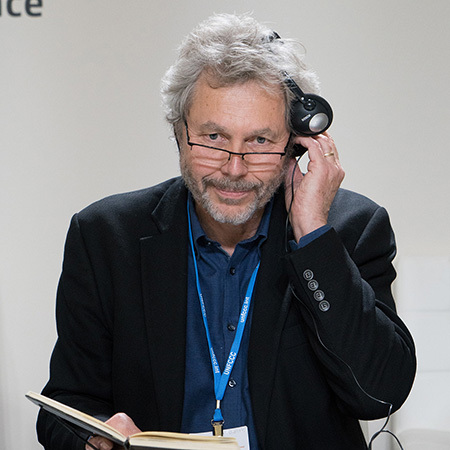 Stressing the need for partnerships, he presented Copenhagen’s climate partners and referred to the C40 Cities Climate Leadership Group and the Carbon Neutral Cities Alliance initiatives. In the ensuing discussion, participants addressed, inter alia: finance mechanisms for projects; the role of cities in inspiring action at the international level; how the COP21 outcomes will influence cities; ways to involve local people and businesses in projects; and suburban areas. George Heartwell, Mayor of Grand Rapids, MI, noted that cities are the battleground to combat climate change. Libby Schaaf, Mayor of Oakland, California, noted that despite Oakland’s relatively low emissions, they have set an emissions reduction goal of 83% by 2050. 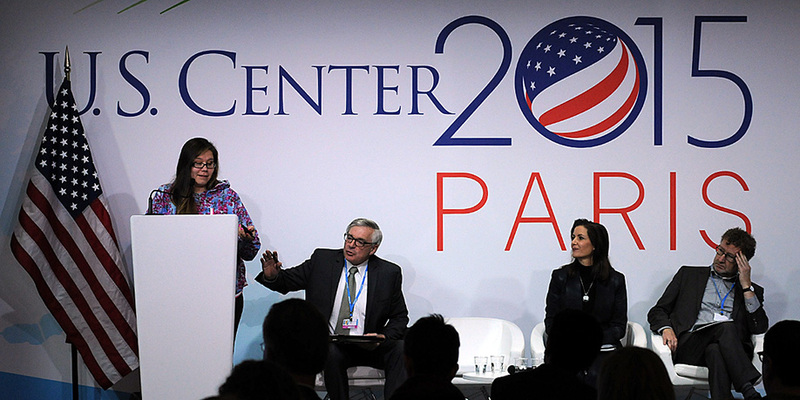 Panel (L-R): Maija Lukin, Councilwoman, City of Kotzebue, Alaska; George Heartwell, Mayor of Grand Rapids, MI; Libby Schaaf, Mayor of Oakland, CA; and Jørgen Abildgaard, Executive Climate Project Director, Copenhagen, Denmark. This session, moderated by Ahmed Al-Eidan, Saudi Aramco, heard presentations from representatives of oil and gas companies, and detailed innovative solutions to both add value to the production chain and contribute to climate change mitigation by reducing emissions. 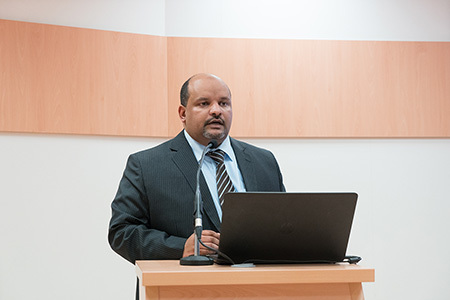 Tidjani Niass, Saudi Aramco, presented an overview of his company’s carbon management strategy, including details on research and technology developments. He said responding to the global challenge of climate change would require fulfilling rapidly growing energy demands while creating fewer CO2 emissions. He presented environmental stewardship activities undertaken within Saudi Aramco since 1980, underscoring three key carbon management strategies: reducing fuel intensity by increasing efficiency; reducing carbon intensity through greater use of natural gas and renewable energy; and mitigating CO2 emissions using carbon capture and storage (CCS) techniques. Noting that technology is key in addressing climate change, he presented examples of innovative technologies in development, including on-board CCS for transport vehicles, able to capture and store 30% of exhaust CO2 emissions. He underscored the essential role of CCS in keeping temperature increases below 2ºC, and called for greater collaboration to achieve this. Adel Al-Ghamdi, Saudi Aramco, presented an outline of the history and developments of Saudi Aramco’s Flaring Minimization Programme. He underscored negative impacts of continuous flaring, including: environmental, including odour and noise pollution; economic, such as the loss of valuable hydrocarbons; and visible, including smoke-producing flames. He stated that Saudi Aramco has been minimizing flaring since 1970, with the implementation of the Aramco Master Gas System that reduced total flaring by 95%. He spoke on the 2006 Corporate Flaring Roadmap that achieved a 50% further reduction in flaring, and explained its “four M” key concepts: Measure, Monitor, Mitigate, and Manage. 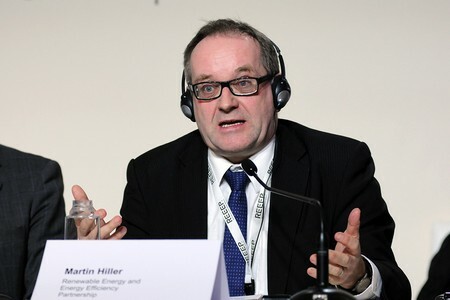 He presented recent developments, such as the 2012 Near Zero Flaring initiative that had reduced flaring by 99.5% compared to the original total flaring, and stated that the initiatives undertaken had achieved yearly CO2 emission reductions of 98.4 million metric tonnes. Following the presentations, moderator Al-Eidan led an interactive discussion with participants that considered, inter alia: what is done with recovered gas; the complementary nature of Saudi Aramco and government regulations; the sharing of best-practices; and whether renewable energy should replace or be complementary to fossil fuel use in the future. 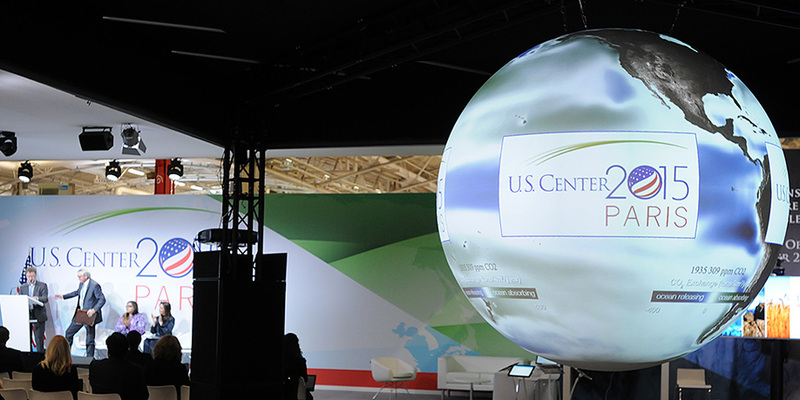 Tidjani Niass, Saudi Aramco, said CCS could contribute one sixth of the needed CO2 emission reductions by 2050 to stay within the 2ºC temperature goal. Adel Al-Ghamdi, Saudi Aramco, said his company began flaring minimization in the 1970s after realizing the value of hydrocarbons and need to protect the environment. 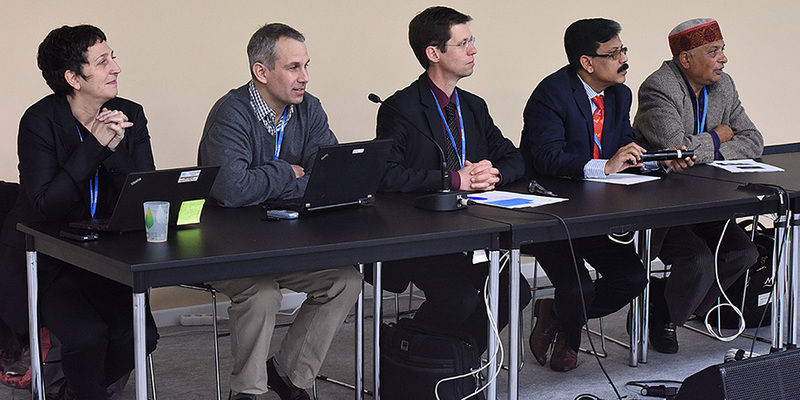 This side event, moderated by Eric Zusman, IGES, discussed efforts to integrate air pollution and climate change mitigation activities in Asia. 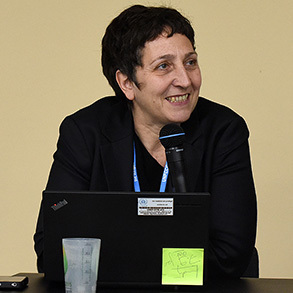 Martina Otto, Climate and Clean Air Coalition (CCAC), talked about Short-Lived Climate Pollutants (SLCPs), including black carbon, methane and hydrofluorocarbons (HFCs), explaining they are at the intersection between air quality and climate change. She highlighted that their short-lived nature means that action to reduce SLCPs can deliver relatively fast results, and should therefore be addressed together with CO2 to stay within 2°C. She outlined 11 partner-led CCAC initiatives which focus on, inter alia, agriculture, bricks, cookstoves, oil and gas, waste and urban health. Mark Lawrence, Institute for Advanced Sustainability Studies (IASS), presented on SLCPs in South Asia, emphasizing that air quality is a major challenge throughout the region. He underscored the “tremendous need to address black carbon,” demonstrating the extent of urban soot by showing photographs of air filters after one day of exposure to urban air samples. He outlined a sustainable atmosphere project in Kathmandu valley, comprising more than 40 scientists in the field for six months, and involving collaboration with local comedians to help communicate and raise awareness on SLCP. Eklabya Sharma, International Centre for Integrated Mountain Development (ICIMOD), Nepal, explained ICIMOD is an intergovernmental organization with eight member countries covering 10 river basins in Asia, linking science with policy and practice, and building the capacity of national institutions to develop field research, modeling and partnerships with all relevant stakeholders. 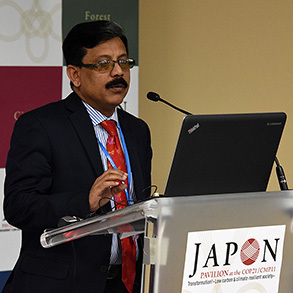 Munjurul Khan, Ministry of Environment, Bangladesh, said his country has very high levels of air pollution and black carbon emissions, and is also one of the most climate-vulnerable states in the world. He stated the main SLCPs in Bangladesh are black carbon, primarily from cookstoves, rice parboiling and brick kilns, and methane, primarily from livestock and flooded irrigation for rice crops. He highlighted Bangladesh’s national Climate Change Strategy and Action Plan, which addresses SLCPs through: monitoring; public urban transport initiatives; laws to reduce open burning; promotion of more efficient cookstoves; public awareness-raising; and transboundary cooperation with neighbouring countries. 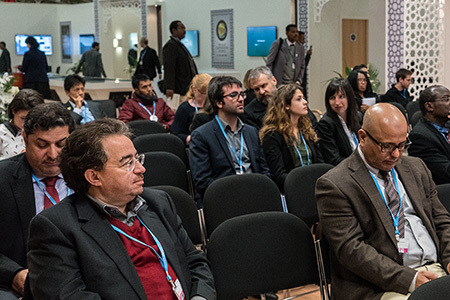 The following discussion focused on: CCAC’s collaboration with the UNFCCC and other multilateral environmental agreements to address SLCPs; the consideration of renewable energy systems; and the affordability of SLCP-reducing efforts. The panelists underscored the co-benefits of renewable energy, including: SLCP reduction, human health, climate change mitigation and human development. Mark Lawrence, IASS, outlined a sustainable atmosphere project in Kathmandu valley. Martina Otto, CCAC, said action on SLCPs can feed into clean air and climate policies, as well as contribute to the achievement of several Sustainable Development Goals (SDGs). 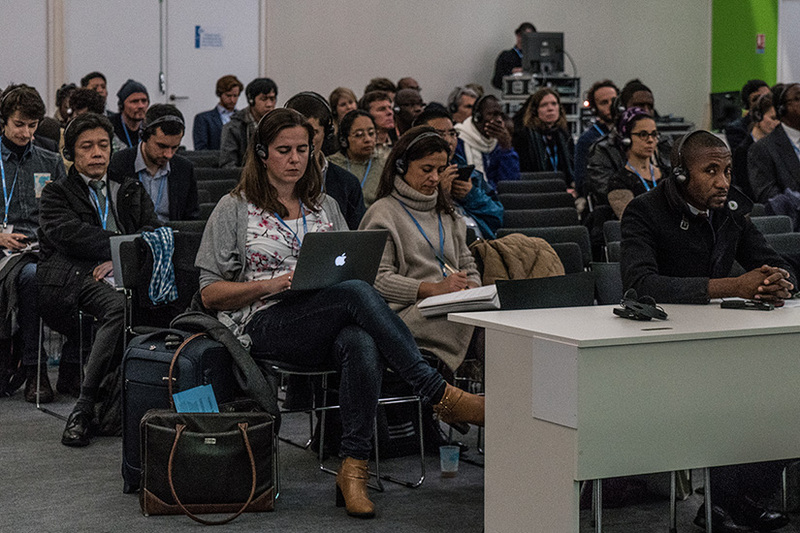 This side event, moderated by Lars Løvold, Rainforest Foundation Norway, considered land-based mitigation and adaptation options, exploring the research and evidence required for a post-2015 climate and development agenda. Louis Verchot, CIFOR, welcomed participants to the panel discussion aiming to build on lessons learned from a decade of action research on REDD+ and beyond. Markku Kanninen, CIFOR, presented on the future of forests in the low-emission development agenda, highlighting the need to address both mitigation and adaptation and invest in cross-sectoral policies, so benefits in one sector are not lost or counteracted in another. Houria Djoudi, CIFOR, presented on integrated and landscape approaches for achieving climate-compatible development in African drylands. She underscored that biodiverse, mosaic landscapes are crucial for building local capacity to adapt to changing climates and maintain food security, noting that community-managed forests have higher adaptive capacity than forest plantations. 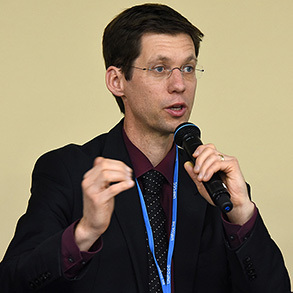 Martin Herold, Wageningen University, spoke on the role of forests in land-based mitigation, noting that 39 countries list REDD+ in their Intended Nationally-Determined Contributions (INDCs). He said policy makers have to remember that forests represent both carbon sources and carbon sinks, noting the close link between agriculture and deforestation. He urged greater efforts in sustainable commodity supply chains, landscape-scale solutions, and integrating agriculture and forestry. Sivan Kartha, Stockholm Environment Institute (SEI), presented on “negative emissions” options for global mitigation, including carbon capture and storage (CCS), reforestation, forest ecosystem restoration and mosaic landscape restoration. He explained that these “negative emissions” processes all draw carbon from the atmosphere and store it in land-based sinks. 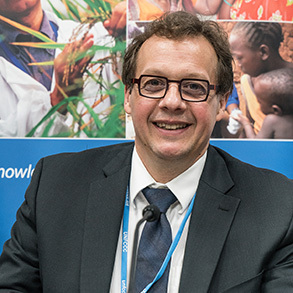 He cautioned, however, that predicted global mitigation scenarios relying heavily on future “negative emissions” are forgetting three major risks of land-based sinks: they may prove infeasible; they may turn out to have unacceptable ecological and social impacts; or they may be reversed by processes such as fire, drought and pests. Løvold stressed that “it is important to avoid undue dependence on the land sector for meeting long-term climate goals.” He explained, however, that alongside a very rapid phase-out of fossil-fuel emissions, land sector approaches can contribute to global mitigation efforts, as well as strengthen rights and livelihoods, and maintain biodiversity and key ecological functions. 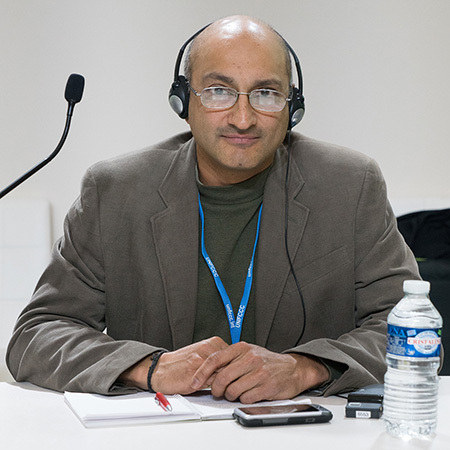 He urged prioritizing the halting of current land sector emissions, and investments in ecosystem restoration, rights-based approaches and improved governance. Discussion focused on: how to better integrate REDD+ and climate-smart agriculture; elements of a good ecosystem restoration strategy; and how to integrate forestry into carbon pricing. Participants raised concerns about a lack of focus on appropriate governance of existing forests, and Verchot highlighted the disastrous human health impacts of forest fires, which are often vastly underestimated. 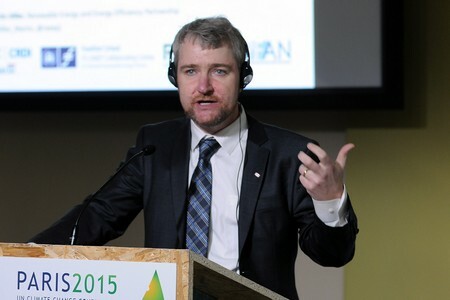 Lars Løvold, Rainforest Foundation Norway, said that, alongside a very rapid phase-out of fossil-fuel emissions, land sector approaches can contribute to global mitigation efforts. Houria Djoudi, CIFOR, said biodiverse, mosaic landscapes are crucial for land use plans that address both adaptation and mitigation needs. 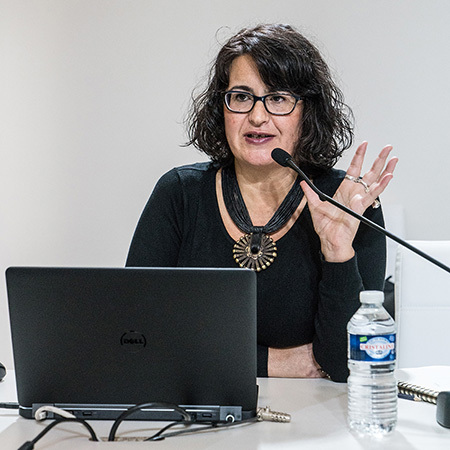 Sivan Kartha, SEI, presented on “negative emissions” options for global mitigation, including carbon capture and storage (CCS), reforestation, forest ecosystem restoration and mosaic landscape restoration. 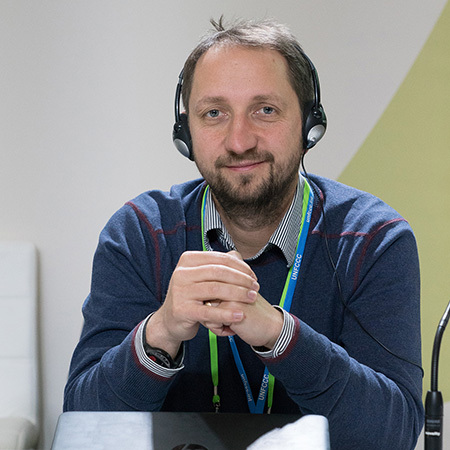 Martin Herold, Wageningen University, highlighted freely available REDD+ monitoring training materials, provided by the Forest Carbon Partnership Facility. Panel (L-R): Lars Løvold, Rainforest Foundation Norway; Houria Djoudi, CIFOR; Markku Kanninen, CIFOR; Louis Verchot, CIFOR; Sivan Kartha, SEI; and Martin Herold, Wageningen University. This side event, moderated by Cheikh Mbow, World Agroforestry Centre (ICRAF), focused on ways to support developing countries, especially in Africa, through international and regional collaboration to build capacity to develop their own models of sustainable development, while also enabling their contribution to global knowledge production. Most of these countries are faced with the challenge of developing sustainably while also dealing with poverty, addressing climate change and preserving the environment, and building scientific capacity and leadership. Jean-Pierre Ndoutoum, Director, IFDD, opened the session, providing an overview of the topics under discussion as well as IFDD’s mission to initiate and support capacity building initiatives at the national level and to promote partnerships in the fields of energy and the environment. He highlighted, among others, dissemination of technical information, technical capacity building, networking and dissemination of best practices, and promoting partnerships. Jean Lebel, President, IDRC, presented on the Centre's role to invest in knowledge, innovation and solutions to improve lives and livelihoods in the developing world. Addressing programs for water retention in Burkina Faso and an early warning and agro-meteorological information system in Benin, he underscored that without research capacity building it will be impossible to tackle complex and interrelated environmental problems. He highlighted partnerships at all levels, including funding activities. Jean-Paul Moatti, Chair, IRD, noted that France has two public research organizations of scientific cooperation with countries in the South on agricultural research. He stressed that for the scientific community, the notion of North-South partnership is not a question of knowledge and technology transfer, but involves the consideration that without science from the South, universal science and fully understanding climate change are unachievable. He highlighted, inter alia, the importance of material and human infrastructure, and the necessity for an intersectoral and interdisciplinary approach to address climate change and the different objectives of sustainable development. Addressing a systemic approach to sustainable development, Stéphane Pouffary, Founder and Honorary President, ENERGIES 2050, called for re-asking questions regarding whether the same goals, the same vision and the same developmental path are shared among all stakeholders. He stressed that applied research should answer questions like why, how, who, and for whom, while inducing personal commitment. He underscored the importance of evidence as opposed to advocacy, as well as the necessity to instill confidence to implement concrete actions. 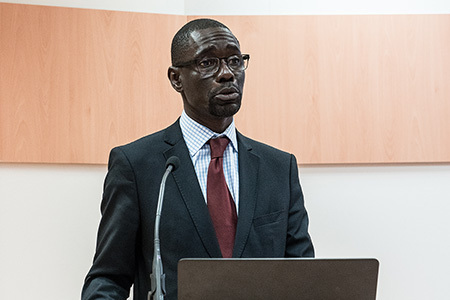 Laurent Sédogo, President, West African Science Service Center on Climate Change and Adapted Land Use (WASCAL) presented WASCAL’s work, stressing the need for policies that are based on scientific evidence. He highlighted unknown scientific parameters and called for research and evidence on the impact of climate change for ecosystems and human communities. Noting that Africa is not well represented in the Intergovernmental Panel on Climate Change, he urged for training and education at all levels so that the continent can address climate change by and for itself. He underscored the importance of cooperation, noting that science from the North is necessary to develop science in the South and to adapt it to national circumstances. 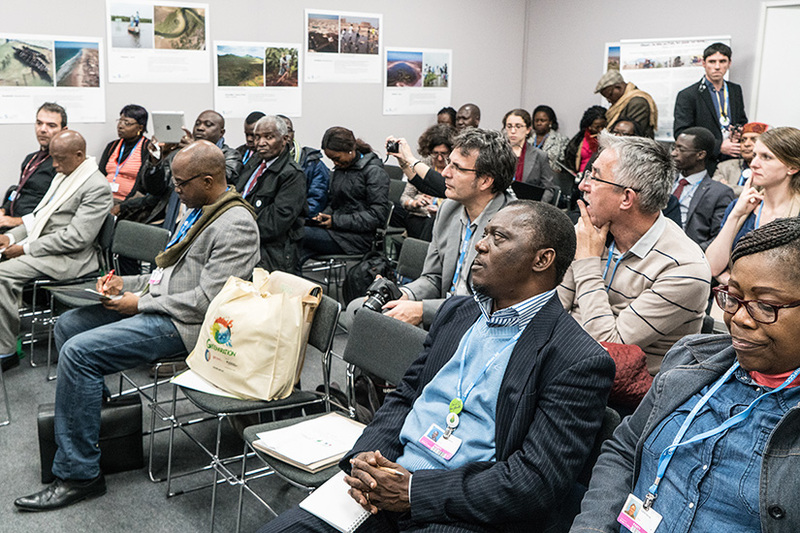 During discussions, participants addressed, inter alia: ways to attract the attention of decision makers and the potential role of farmers; links between climate change and human health; challenges for research in Africa; and obstacles to cooperation. 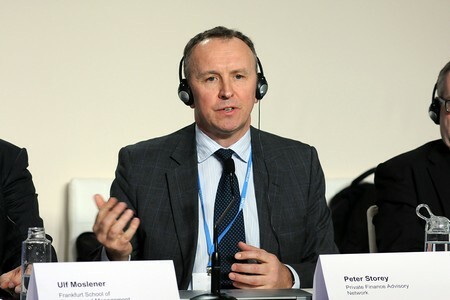 Stéphane Pouffary, Founder and Honorary President, ENERGIES 2050, stressed that beyond partnerships, shared interests are needed to tackle environmental and developmental problems. 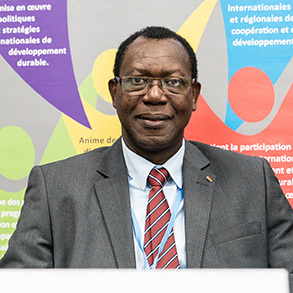 Laurent Sédogo, President, WASCAL, noted Africa’s vulnerability to climate change and underscored that it is going to increase in the future. Jean Lebel, President, IDRC, highlighted the need for investments to up-scale existing innovations. Panel (L-R): Jean-Pierre Ndoutoum, Director, IFDD; Laurent Sédogo, Ex-minister of Mali and President of the West African Science Service Center on Climate Change and Adapted Land Use (WASCAL); Jean-Paul Moatti, Chair, IRD; Adama Diawara, Education and Research Adviser to the President of the Republic of Côte D’Ivoire; Jean Lebel, President, IDRC; Stéphane Pouffary, Founder and Honorary President, ENERGIES 2050; and Lindiwe Sibanda, CEO of the Food, Agriculture and Natural Resources Policy Analysis Network.